California is known for its beautiful beaches, amazing amusement parks and exciting big cities such as Los Angeles and San Francisco. But California is also dotted with a slew of interesting and lovely small towns. 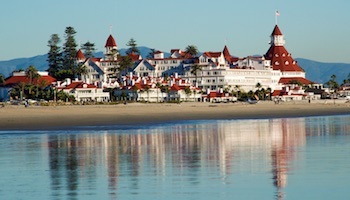 Many of these little hidden gems are the favored getaway destinations for Californians. Want to see the places the locals have discovered that the rest of the world hasn’t quite figured out yet? Then you’ll want to check out these charming small towns in California for yourself. If you were to stumble upon Solvang by accident, you might think that you’ve somehow taken a wrong turn into a Danish village. And you would be partially right. Though located in California’s Santa Ynez Valley, this small town was established in 1911 by a group of Danes. So don’t be surprised to see several windmills scattered throughout the town or by the traditional Danish farm-style facades on Solvang’s buildings. While you’re visiting Solvang, make sure to fill up on authentic Danish pastries and to shop for offbeat souvenirs, such as little wooden shoes or windmills made out of china. Sausalito has an interesting vibe — a mix of trendy, laid-back beach-y and artsy. 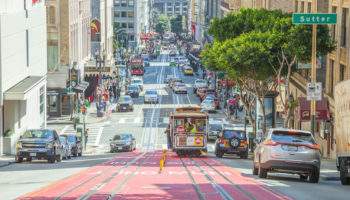 In Sausalito, you’ll find the largest local artist Co-Op in the San Francisco Bay area, great shopping and lots of restaurants where you can enjoy al fresco dining. Sausalito also boasts a nice little beach and noticeably warmer weather than San Francisco, even though that city is just a short distance away. 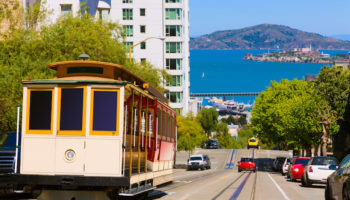 To get to Sausalito from San Francisco, you can either drive over the Golden Gate Bridge or for a more scenic option, consider taking the ferry. This picturesque little beach town, which is located between Monterey and Pebble Beach, has an unusual claim to fame — between mid-October and mid-February, thousands of delicate monarch butterflies flutter into Pacific Grove to spend the winter. Part of the reason, these butterflies are attracted to Pacific Grove is because of its mild climate. This town’s pretty weather coupled with its beautiful coastal setting and charming Victorian houses are also popular draws for human visitors as well. If you’re planning a trip to Pacific Grove, make sure to leave time for the Monterey Bay Aquarium. It is located on the border of Pacific Grove and Monterey and is considered one of the best aquariums in the nation. Located in the heart of Sonoma County’s wine country, Healdsburg will woo you with its low-key vibe and small-town charm. 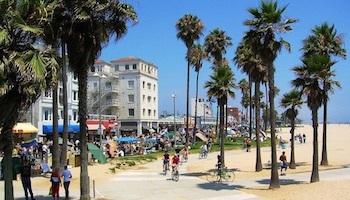 It is also known for its restaurants serving fresh, farm-to-table cuisine, art galleries and lovely boutiques. Of course, while you’re in Healdsburg, you’ll definitely want to check out the more than 100 wineries and tasting rooms that can be found in the surrounding area. Nature lovers can enjoy camping and hot air ballooning. And if you happen to be an avid bike rider and wine lover, you’ll want to try the 30-mile Sip & Cycle route that features stops at lovely wineries and zips through gorgeous countryside. Really, who needs Tuscany? Borrego Springs is a very unique and special desert town. 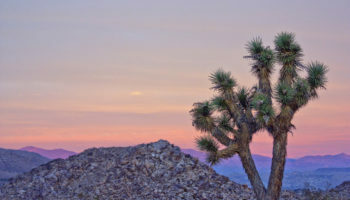 For one thing, it is the only village in California that is situated entirely in a state park — Anza-Borrego Desert State Park, to be exact. It is also an excellent place to check out the twinkling stars at night since it is also an official International Dark Sky Community. 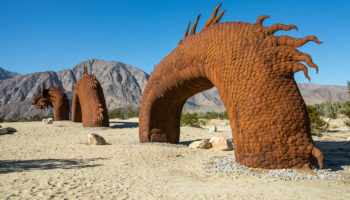 And please don’t be surprised if you should stumble upon a dinosaur or some other strange creature while driving through Borrego Spring’s Galleta Meadows. Scattered along this area’s roads are 130 large metal sculptures. Borrego Springs is, in fact, such an interesting town that it was even included on Travel & Leisure’s America’s Coolest Desert Town’s list. 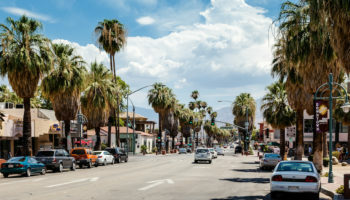 This little town, which is located in San Diego County, is also a popular destination for “snow” birds who flock to Borrego Springs during the winter. Julian is an old Californian gold rush town that is situated in the Cuyamaca Mountains, just a few hours from San Diego. 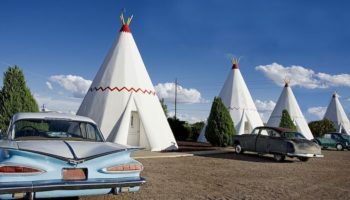 With its historic old buildings, this little town still retains the flavor of the Old West. There is even a local mine where you can enjoy a tour or try your hand at panning gold. In the fall, Julian’s pick-your-own apple orchards attract a slew of visitors who want to search for their own fruit or bite into pies from the locally famous Julian Apple Pie Company. Other activities you might want to enjoy while in Julian include horseback riding, hiking or boating on the nearby Cuyamaca Lake. Avalon, which is located on Santa Catalina Island, is just a short one-hour boat trip or a fifteen-minute helicopter ride from Los Angeles. But this charming small town feels as if it’s a continent away from bustling L.A. First of all, there are only a limited number of cars allowed on the island, so visitors typically get around by walking, riding a bike, taking the public bus or trolley or by renting a golf cart. And the town’s atmosphere is very low key and laid back. Some of Avalon’s more popular activities include snorkeling, hiking, glass-bottom boat tours and shopping the town’s small main street. If you’re searching for a peaceful and gorgeous getaway, you’ll want to consider visiting Mendocino, which is located about three and half hours north of San Francisco. Mendocino is located on a bluff, overlooking the Pacific Ocean in an area famous for its stunning, rugged coastlines. It is an artist colony, where you can check out the galleries and shops for works by local artists. 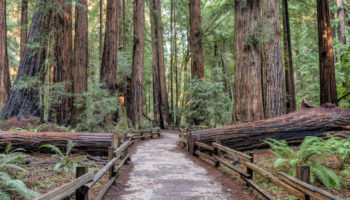 Mendocino has also earned a reputation for being the perfect destination for romantic getaways and outdoorsy activities, such as biking or hiking. Not long after gold was discovered in California in 1848, thousands of settlers flooded to the state. 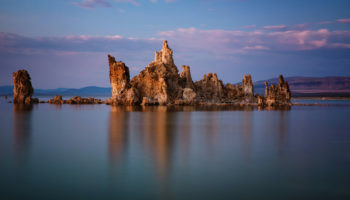 One of the towns that developed during that period was Nevada City, which is located approximately 60 miles (100 km) northeast of Sacramento. Founded in 1849, Nevada City rose to become one of the wealthiest mining towns in California. Its streets were lined with gambling parlors, hotels and, of course, saloons. Some of the old buildings still exist, including the 1865 Nevada Theatre, which is California’s oldest operating theater structure on the West Coast. Today, Nevada City’s charming historic district still looks like a scene from the Wild West. Located in Ventura County, just about an hour-and-a-half drive from Los Angeles, this pretty and peaceful little town has long been a popular weekend destination for L.A. residents seeking a getaway that will reinvigorate them both physically and mentally. Popular activities include hiking the more than 20 paths in the area, biking and shopping at Ojai’s boutiques and galleries. 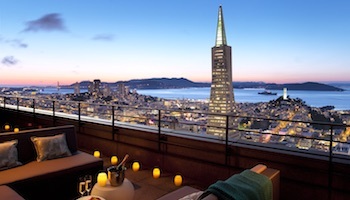 Indulging in a little pampering at an area spa is also high on most visitor’s list. Seeking something a little more spiritual? Then you’ll want to check out Meditation Mount, which is a public meditation center. St. Helena sits in the middle of the famous Napa Valley, making it an excellent jumping off point for exploring the region’s many fabulous wineries. And because fine wines pair naturally with delicious food, this charming town is also home to a slew of superb restaurants. Of course, you’ll need a way to burn off all of the calories that you’re sure to ingest while in the Napa Valley, and one of the most popular ways to do that is by touring the area on a bike. Not into biking? Then you could always pamper yourself at one of St. Helena’s many spas or check out its numerous art galleries. Carmel-by-the-Sea is one of the most beautiful small towns in California, which is high praise, given that this state is filled with contenders. This picturesque little village features European-style cottages and boasts a stunning white-sand beach setting. Its beauty and charm has long made it a popular destination for romantic getaways and for artists. 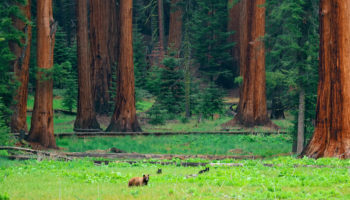 While in Carmel-by-the-Sea, you’ll also want to explore the nearby 17 Mile Drive, which is world-famous for its stunning views of the rugged coastline and of the pounding Pacific Ocean surf. What a great list! I agree, California is filled with interesting small towns worth exploring. My tip for Sausalito is to rent a bike and bike over the Golden Gate Bridge down to Sausalito and take the ferry back. A trip of a lifetime!